Here in Alaska, ensuring your auto battery is healthy is very important. Auto batteries provide your lights and electronics with the power they need to turn on and do their job. However, auto batteries wear down over time and with use, especially during extreme temperatures. Even the best batteries take a beating in this cold weather so regular service is a must. Don’t get stuck in the dark in the middle of the road, instead come to University Chevron. 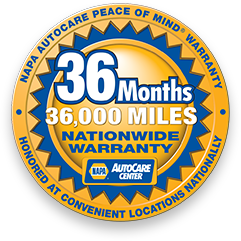 We know cars and with over 38 years of experience and ASE Certified professionals, you know you are in good hands. Schedule an appointment online today!